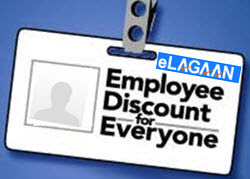 This exclusive employee discount program is a great no-cost benefit for employers to provide as a way of saying thank you for being part of the team. Don't see your organization in the list? Don't Panic, we have got your covered. Contact Us and an account executive will contact you or your HR/Admin to get you in the preferred corporate list, so that you can start enjoying the great benefits (It's easy to participate & save money). And as always visit our tax forums of you have questions about taxes.